If you chose a CRM solution over the past 18 to 24 months you may have paid more for that system than you would today. The CRM software industry that had once been dominated by a few vendors, like Microsoft Dynamics CRM and Salesforce.com, has now become highly competitive and somewhat of a commodity. In fact, there are now more than 400 companies offering some component of CRM software to the small to mid-size business sector. This increased competition has caused prices to plummet and the advantage that companies like Microsoft and Salesforce.com once had in the sector has withered away. Why has this happened? The answer is quite simple. When you take a look at the core features that most small to mid-size companies utilize in a CRM solution, they are all pretty much the same. More than 90% of these businesses use a CRM solution to simply manage contacts and customers, keep notes and history, schedule follow-up activities, manage the sales cycle, send documents like quotes and proposals and integrate their e-mail. And guess what? 90% of the CRM vendors today offer these features. The gap has closed and what once was a unique but pricey offering from Microsoft and Salesforce.com is now – well just a commodity. In fact, there is now a sizeable group of quality CRM solution providers who may be a better fit for your business. Why? Because these newer offerings were designed specifically for small to mid-size businesses versus being scaled down to meet the reduced functionality and cost concerns of the smaller business community. All of this is good news for the consumer. Upon your contract renewal date you should be able to negotiate a better deal than you have today, especially if you are using one of the higher priced offerings from Microsoft CRM or Salesforce.com. And if you can’t – see the link below. It highlights the Top 10 CRM companies to help manage your business. 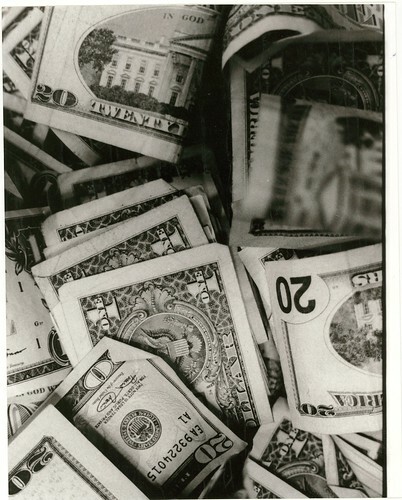 Image “Money, Money, Money” by Daniel Borman on Flickr under Creative Commons license.